Rent Storage in Elizabeth City & Camden, NC! 1. Select a unit then create a profile. 3. Review and confirm rental information. 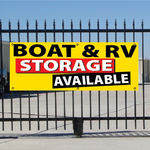 Outdoor Secure Parking for you Boat, RV, Trailers Cars and Trucks.